Approval of November 15, 2010 Minutes: Editorial amendments suggested; Jeff Hurt moved to approve, Stephen Smith seconded, unanimous approval. The mid-year budget reviews were completed. All units are projected to have an overall carry-forward balance in the neighborhood of $900,000. In addition, some money is available through the DOCE fees, separate from Distance Education tuition. However, there is a limitation on this money—can only be used to support Distance Education instruction. Overall, the COE has a $1.4 million carry-forward for the next budget year. The Business Office estimates that approximately $20 million is needed to run the College at current levels. After $1.5 is allocated to alumni fellowships, we’re left with a gap of about $2 million. Last year the gap was made up with what was available in reserves. Now there is nothing in reserve. After we apply the 1.4 million in carry-forward funds, next year’s budget falls short by approximately $600,000. One option suggested was that DSR taxes (about $500,000) be paid from the OER/IDC account. If OER/IDC funds are used in this way, and there are no budget cuts from the state, the COE will be solvent for the upcoming year. However, there are no other new lines for hiring faculty in the budget so new hires in the next year would have to come from retirees and resignations. In essence, the COE will be able to maintain the status quo, but not support growth. Discussion ensued regarding clinical vs. tenure-tracked faculty, and the possibility of moving individuals on and off line to free up funds, such as in the case of faculty having grants. No losses among support staff are being assumed. are due on February 15, 2011. It will be discussed in DAC and allocations will be made accordingly. It will be important for Directors to maintain SCH generation, which may mean they will have to hire others besides faculty. The Dean proceeded to discuss the National Council of Teacher Quality survey. In the past this group targeted the COE Reading program and gave it poor reviews, which led to the COE having to respond as to why they got it wrong. This organization has now teamed with US News and World Report. A number of Deans have resisted this. All the Provosts were supportive of the COE, and the chancellor will be writing a letter as to why UF does not need to participate in this given the strong accountability measures already in place. Overall, it is a very contested issue and is raising a lot of alarms across the campus. External Program reviews are occurring within graduate programs across the College. New Graduate School Rules require that all graduate programs receive an external review every 7 years. Programs that were reviewed by the NCATE/DOE review process may use that review; other programs (there are 25 of those within the College) must schedule an external review. The purpose is not to have an evaluation of the program that goes to the Provost. The external review is part of an internal review process. Each program will use the reviews as their own self-study. The Board of Governers has tasked the SUS Provosts to look at programs with low enrollment. The Provost indicated he wanted to close three of our programs –the middle school education bachelor’s degree, the specialist degree in REM, and the specialist degree in college student personnel higher education (to which students are not admitted but is used for those who decide not to complete the doctorate degree). This will be a process as the semester goes on and included in the final decisions whether programs should be closed or phased out over time. The COE has been proactive in closing programs that are no longer active, so relatively few programs should be impacted by this review. Several other degree levels in the college have been either no or low graduates or enrollment, and we might be able to do a little curricular cleanup in that process. Discussion ensued regarding whether this is a cost-cutting catalyst. This will not really reduce cost, but to those outside the University, such as legislators, these efforts will save perceptions. It is a way of avoiding duplication of programs across the state as well. Thus, it is both a PR and duplication issue. These efforts are occurring across the country. 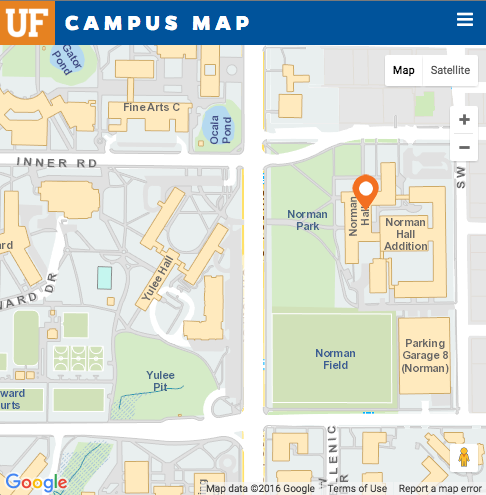 Regarding other institutions, many are only now beginning to feel the budget crisis that the UF COE has been feeling. During the program review process, this might be something to add to help justify our programs’ existence. Regarding the duplication issue across the state, there is always the opportunity to make an argument to maintain a program, although one needs to be careful on which programs are defended. Associate Dean for Research search. We do not have significant numbers of new applications. The search committee will meet next week to decide next steps. changed so decisions about web pages can be made. It is a marketing website, and therefore program-centric. You should be able to access information about specific programs from the website. The publishing system is WordPress, which allows for multiple authors and means everyone can be the author of his/her own page. Faculty/Programs can still submit a request for an update/webpage change through John Donaldson. Discussion ensued regarding whether this change will reduce spam. It was indicated that this would not necessarily reduce spam because “crawlers” can still crawl the website for email addresses. However, the COE does have diagnostic tools to study this, including a team that can manage the servers remotely. Further discussion ensued regarding the movement to a new website format, with specific concerns noted on the lack of communication to individual faculty concerning such a major change. It was indicated that this was a 2-year process with involvement from multiple levels, including Directors. There was a transition team working for the last several months that included people from different programs. Faculty may not have been aware of the impending change, but Directors were aware. Training for those who want to go through the process will be announced, and there is also the option of submitting a request to John Donaldson. However, it was also noted that this topic did not come through the FPC over the past 1.5 years, and there was a disconnect regarding the flow of information to the bulk of the faculty. The Dean’s Office indicated that the decision was made to go through the school and program directors and rely on them to filter the information to faculty. It was noted by FPC members that there is an ongoing need to improve the flow of communication from administrators to faculty. Further discussion at the DAC was indicated. Tina Smith-Bonahue opened with a brief overview of what occurred at the last FPC meeting. The BAC went back and looked at whether new data would change the motion. They decided they did not want to change anything and so the motion remains the same. The motion was offered up for discussion. Clarification was gained regarding taking on students for additional work beyond the 100% and in cases where there is no money for the work. It was indicated that this would be up to individual Directors and would not change from previous years. Motion: 10 in favor, one abstention; motion approved. Tina Smith-Bonahue indicated the FPC’s gratitude to the BAC for their efforts. There was a meeting on Friday in which the two facilitators, including Jodie Gentry, the Steering Committee, and concept paper work group chairs and second members. The meeting also was open to all faculty. Roughly 20 people attended. Two items were discussed: a) the purpose statement and b) concept papers. We seem to be on the right track now, though consensus was not reached regarding the purpose statement. Six of the seven groups reported on concept papers. Some are farther along than others. The concept papers are due 10 a.m. on March 11th so they can be distributed a week before the full-faculty retreat on March 18th. Papers should be about five pages long, can be developed as executive summaries with bullets, and should be designed to share the thought processes of each group. Elements of the concept paper include: contact, strategic direction, big ideas, concerns, and recommendations. Also there was a discussion of keeping personal agendas out of reports and that was agreed upon. The two facilitators seemed impressed with the content and work of the groups and were upbeat about where we are in the process. From our side of things, the March 11th deadline seems short, but performance is good at this point. advisable. Specific language regarding this constitutional change was discussed, as was ensuring that certain committees were not overloaded with work. Stephen Pape also indicated that he still has not heard from most of the committees regarding their review of the constitution and indicated he would send out an email again. There is a an FPC constitutional responsibility to evaluate the Dean annually. This year it is only Dean Emihovich. For the last several years, David Miller has managed the data from the survey and is willing to do that again. In preparation for the discussion, Tina Smith-Bonahue met with the Dean. She indicated from her perspective there are three areas of performance resource generation, budget management, and presenting the public face of the college. Upon a review of the survey, there are a number of questions that generally look at these items, but few items were of very little importance to faculty based on last year’s results. The FPC members decided to conduct the evaluation as a whole group rather than form an ad hoc committee. Decisions to be made include deciding on a time line, a master list of faculty, and determine what to do with the results (i.e., how to analyze them, summarize them, and with whom we share them—though that is somewhat limited). The FPC members decided to use the same questions as last year after a discussion on the process of developing the survey, including input from the Dean. However, adding a “Comments and/or Recommendations” section was agreed upon so as to provide specific feedback. Discussion ensued regarding what to do with the results of the survey. Historically, these results were used as part of an internal method of evaluation. 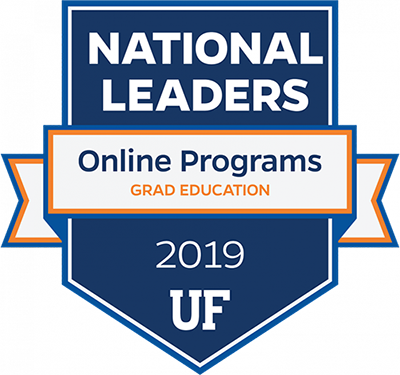 However, the results from the previous year were provided to the Provost to be used in an evaluative way, so due to concerns raised by UF general counsel, the data were not shared to all faculty members. Further clarification on whether or not a summary of the results can be shared with all faculty members while also providing the results to the Provost in an evaluative manner is needed. The procedures for giving feedback to the Dean based upon the results of the survey were also discussed. Traditionally, the chair and secretary of the FPC meet with the Dean and provide feedback. A vote on treating the survey as an evaluation and sending it to the Provost was withdrawn due to a need for further information, especially that pertaining to whether or not the results could be summarized and shared with all faculty members if the survey is used as a formal evaluation of the Dean. Setting a timeline was postponed until the next FPC meeting (March 14th) to provide time for gathering additional information regarding the use of the survey as an evaluation. Tina will contact Barbara Wingo, of the UF general counsel’s office, to find out if a summary can be distributed to faculty, as well as sharing the results with the Provost in an evaluative manner, and will summarize the conversation via email with FPC members; FPC members will further communication on the topic via email. The BAC is continuing to work on the concept paper. Issues around understanding the costs of programs, developing a framework for considering all the factors of operating programs (e.g., quality, etc. ), and understanding how research activities factor in are being considered; strategic mission contributes to that. At the last meeting, Naomi and Catherine shared a mid-year report and indicated they were on-track. However, the BAC was concerned that the data were not complete regarding the Dean’s expenses and so want more information in that area. Met on January 24th and discussed the Early Childhood Policy and Advocacy course. Two new courses were also considered, though a vote was not taken because the syllabi needed additional work. However, revisions to the syllabi were provided within one day and, based upon a straw poll, things are looking positive. The CCC is going to review the Graduate SLO proposals for completeness and appropriateness in submitting the documents. The CCC is meeting on Wednesday to put together the agenda. Everyone is reminded to attend the film series on diversity. Not many faculty or classes signed up the previous week. At the last meeting, pre-tenure review was discussed. Many people do not understand the process and so it was clarified. In addition, promotion guidelines for clinical faculty were also discussed (a document regarding these guidelines was shared). The FPC will need to consider and hopefully vote on these guidelines at the next FPC meeting on March 12th with the FAC in attendance. Decided to take on the work for the graduate student awards. We received the applications today and will be moving forward with them. Holding off on meeting until SPC is finished.